This is a 5-pack of sheet masks that came in our Brightening Boxes. 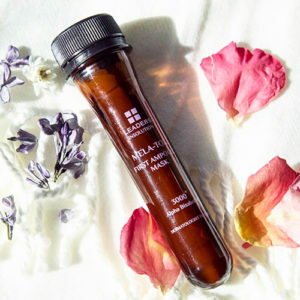 Alpha-bisabolol and evening primrose flower extract provide a dual brightening effect in this brightening ampoule mask. Skin is given a brightening effect via cleansing, nutrition supply and skin vitality for a radiant complexion. It is dermatologist tested and also comes in a fun tube, great for travel!